No matter where you go, you won’t get lost on the new site, for it has inherited the basic structure and the most important features from the old one. But we’ve made a lot of changes on the appearance, logic, and functionality to make everything work faster, help better, look smarter. All products are now described and explained on their dedicated pages (and there’s one for every product), all the information is structured, perfectly organized and vividly illustrated, all the Frequently Asked Questions — thoroughly answered. Don’t miss the new MyAccount section — this is the control unit for managing the AdGuard products you possess and the devices you have protected. An absolutely necessary thing for any AdGuard license hoarder :) Bonus part: you can now transfer your license keys between different accounts if need be. No helpdesk assistance required. 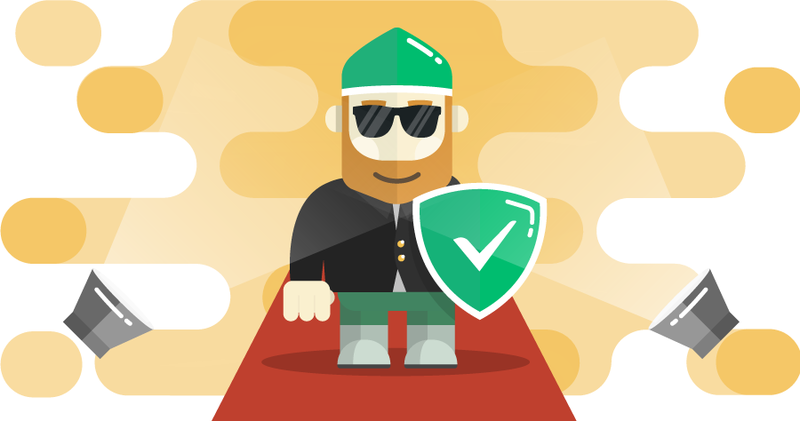 By the way, it has become much more convenient to contact our Support Center if you have any trouble or concern, or to address our Knowledge Base with any question regarding ad blocking, privacy control, DNS filtering, family protection — you name it. Actually, the footer of the new website provides access to any page you could possibly want to find; you barely need the rest of the website. Ever tried to visit adguard.com from a mobile device? You used to get redirected to the mobile version, with its own problems and limitations. Try it with the new site — it is the whole new story. Basically, it’s the exact same ’big’ site, including its functionality, but on your cell phone. I would argue that some pages look even neater on the mobile version. Use side menu to navigate through the website just as easily — and do it fast, the website won’t burden your phone or tablet with heavy media elements and long loading times. The website is still going to undergo some changes — nothing big, just minor improvements here and there, but we need your help in testing it and reporting the unnoticed bugs. Send us bug reports, as well as your ideas and requests on lacking functions and content. Find us anywhere: social media, forum, support service and even right here in comments. Speaking for the whole AdGuard team here, I really hope you like the new website, but even if you don’t, we’ll do our best to make it better. Oh, and by the way. The summer is coming to an end, and to sweeten the pill, we are preparing a new promotion. Stay tuned, and you won’t miss anything! Let’s celebrate the coming autumn and the 'back to school' time – the season of new beginnings and fresh starts! Get 30% discount on ALL AdGuard licenses until September 3. A great chance to favorably buy or renew a key of any type! You can also profitably renew or upgrade any license you already have (make it lifetime or add more devices).